Marnie Riches interviews Mason Cross, Rob Sinclair, Daniel Cole & Emma Kavanagh about their ongoing crime series. More details at the Incident Room web page. In aid of the Royal National Insititute of the Blind, and celebrating the launch of Ten Year Stretch, join a top-notch team of Glasgow’s crime writers for an evening of fun and games! Caro Ramsey chairs a panel of the best of the best: Mason Cross, Neil Broadfoot, Douglas Skelton, Michael J. Malone, Frank Muir, and a special guest star! There will be wine, nibbles, and possibly even prizes, so don’t miss this fantastic event! 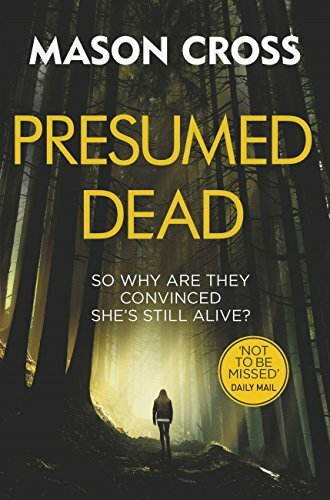 Mason Cross will be at Motherwell Library for World Book Night 2018 to talk about his new book Presumed Dead.